Why should I buy the Gold-Edition? 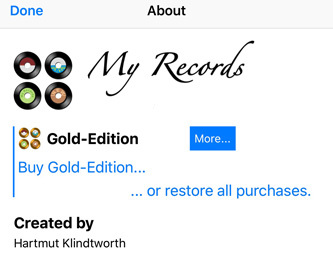 Within an in-app purchase you can activate the Gold-Edition of My Records. Independently of your descision the Basic-Edition will be also developed.